MANY PEOPLE ARE heading back to work tomorrow, so this might be the last chance for people to get a bargain in the post-Christmas sales. This year Retail Excellence Ireland reported that St Stephen’s Day was the busiest since the start of the recession and despite the stormy weather sales have remained consistent. This year online sales were also up to 8 per cent. With that in mind, we want to know: : How much you have spent in the post-Christmas sales so far – in the shops and online. I haven't bought anything in the sales. Got any sales tips, tell us in the comments section. Email “Poll: How much money have you spent in the post-Christmas sales?”. 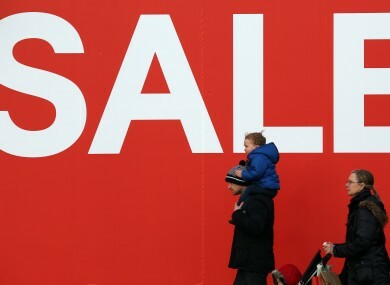 Feedback on “Poll: How much money have you spent in the post-Christmas sales?”.